The E33 Auto Scrubber is the largest auto scrubber in the E-Series Family. Its 33" cleaning path covers up to 39,424 sq. ft. per hour. Minuteman's E33 has advanced technology, new green clean features and is equipped with Aqua-Stop which saves money and increases productivity. 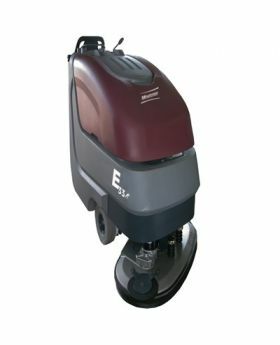 The E33 has been engineered to change the way you clean floors.